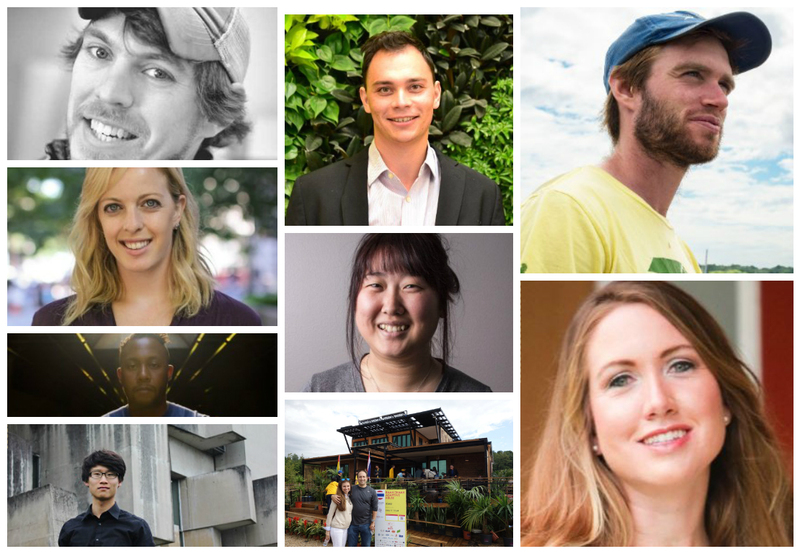 Given that more than 30,000 students have participated in the Solar Decathlon around the globe, it would be impossible to highlight all of the incredible things former decathletes have gone on to do in their careers. Still, it would be a shame not to mention several of the innovative entrepreneurs that have grown out of the competition. That’s why we chose a handful of individuals who are founders, co-founders, or CEOs of their own companies to feature in this blog post. After participating in the Solar Decathlon, these entrepreneurial decathletes started their own companies. Once a key team member of the Middlebury College 2011 Solar Decathlon team, Addison went on to become the founder and CEO of livelight in Boston, Massachusetts. This company is working to develop a construction system that combines efficient prefabricated housing modules with a site-built “exoskeleton” to create a new model for urban housing that working people can afford. The project manager for Team California’s Solar Decathlon 2009 entry is the founder and CEO of Agrilyst, a farm management and analytics platform for indoor farms. The company’s SaaS platform tracks and analyzes all farm data in one place, enabling growers to optimize plant performance and reduce operating expenses. Agrilyst won the highly coveted Disrupt Cup at TechCrunch Disrupt SF in 2015 and was named one of FastCompany’s Most Innovative Companies in 2016. Allison was recently named the Association for Vertical Farming’s 2016 Changemaker of the Year. Before launching Chai Energy, Cole led California Institute of Technology’s Solar Decathlon 2013 team to a second-place finish in the Engineering Contest. Caltech’s house featured a first-of-its-kind, gestural home control system equipped with Machine Vision and 3D maps to allow homeowners to turn off appliances with a simple point of the finger. His latest venture gives homeowners the ability to reduce their utility bill by leveraging smart meter data, analytics, and a great user experience. As the CEO of EmPower, David leads a company that installs high-performance solar energy and battery systems for homeowners and businesses. David and EmPower co-founder Gregory Sachs engineered, installed, and operated a solar hydrogen fuel cell and battery power plant for the New York Institute of Technology’s Solar Decathlon 2005 team. Since then, their company has gone on to install more than 1,500 solar PV systems for New Yorkers. EmPower also hosts an annual Solar Student Competition for local high school students. To date, this student competition has awarded more than $8,000 in scholarships. Derek was part of Stanford University’s effort to compete in Solar Decathlon 2013 (check out his impressive TEDx talk here). After earning a dual bachelor’s in civil engineering and architectural design and a master’s in structural engineering, Derek began working on sustainable solutions for the built environment through teaching and practice. He teaches a project-based learning course at the core of a new Sustainable Urban Systems graduate program at Stanford, as well as an Introduction to Architecture class at a local high school. Derek also started his own design company, which engages a global network of designers and engineers in community-focused projects such as sustainable resources, affordable housing, and creative placemaking. These past decathletes turned entrepreneurs—and their peers—are worth knowing about, connecting with, and being inspired by. You can browse more than 500 professional profiles associated with the competition by searching LinkedIn for Solar Decathlon. Also follow us on Facebook or Twitter to continue hearing about the great things solar decathletes are sure to accomplish in the future. This entry was posted on Friday, January 13th, 2017 at 10:33 am and is filed under Middlebury College, Solar Decathlon, Solar Decathlon 2002, Solar Decathlon 2005, Solar Decathlon 2009, Solar Decathlon 2011, Solar Decathlon 2013, Solar Decathlon Alumni Association, Stanford.